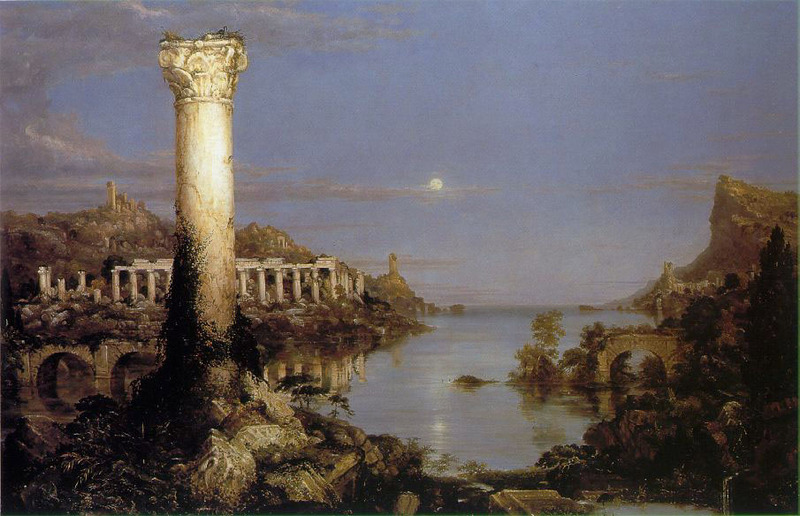 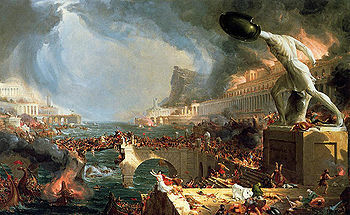 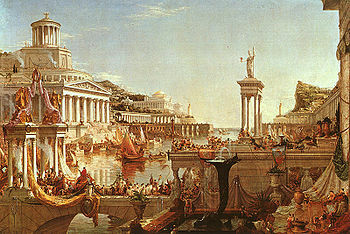 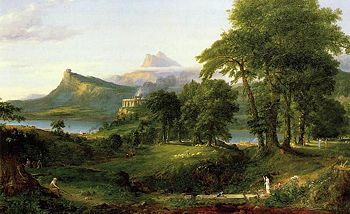 The Course of Empire (2008) is a string quartet inspired by a cycle of five paintings of Thomas Cole (1801-1848). The Course of Empire string quartet was most recently performed in conjunction with an exhibit of the paintings by members of A Far Cry at the Peabody Essex Museum in Salem, MA on July 30, 2011 as part of the Inspired by the Land festival, at the opening of the national touring exhibit Painting the American Vision. 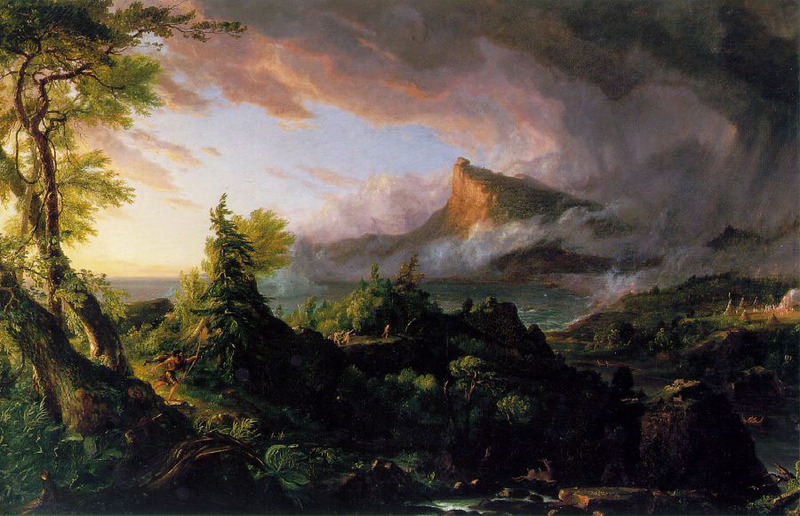 For more resources on the quartet and the Nell Shaw Cohen's interpretation of the paintings, read The Boston Globe article on the piece, or visit the New-York Historical Society's interview with the composer. Click the images to view a larger version of each painting. 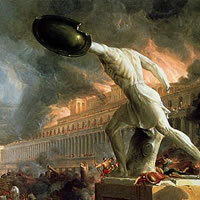 Play the audio below each image to hear a brief excerpt from that movement, or click the link to download a complete mp3 of the piece. This performance was recorded live at the Peabody Essex Museum on July 30, 2011 by Liza Zurlinden and Ethan Wood, violin; Jason Fisher, viola; Alexei Gonzales, cello. The five movements total slightly over 14 minutes.